The event’s competition centre is located in the idyllic village of Viitapohja on the land of Viitaniemi Farm in Tampere, at the address Kaakkolammintie 5 Tampere. 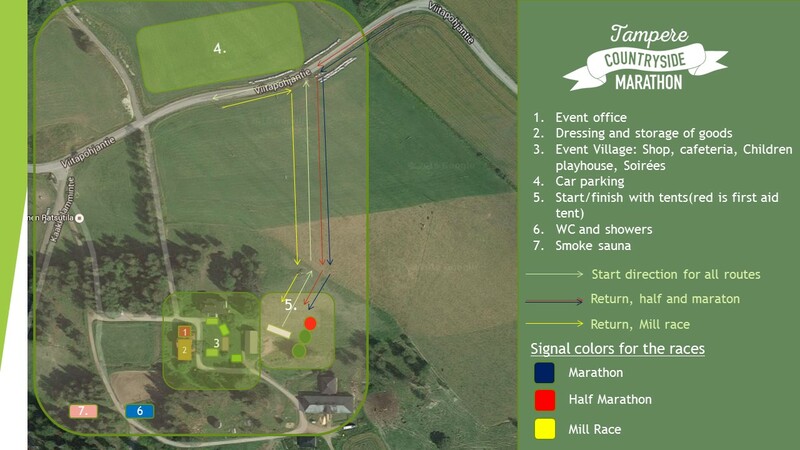 Attached is the competition centre’s event area map. The event area’s most important locations are marked on the map. Parking areas for cars are shown on map number 4. Additional parking space can be found at the Viitaniemi manège car park. Our staff will guide drivers on the day of the event. Tampere City Transport (TKL) buses 92A and 92B commute via Viitapohja and will transport joyful competitors from Tampere City Centre if necessary. We will open the competition office at our partner hotel, Lapland Hotels in Tampere located at Yliopistonkatu 44, Tampere. The competition office is open between 2 pm and 8 pm. Competitors and their families travelling from farther away can conveniently stay in the hotel at our special discounted price. We are also organising shared transport from the hotel to the competition area and back (more information regarding transport will be updated on our web page during spring). Read more about the hotel and discounts from our accommodation page. 00.00 am Event area closes and joyful competitors are wished good night!